Richard and I ran into the house laughing and pursuing each other like two teenagers. The dinner date had been so romantic and awesome. past week was not mentioned at all, it was as though he did not want to remember it at all. but I still felt there was something else that propelled his leaving. remove the heels I had on. making me very nervous, don’t you?” I said sarcastically, trying to lighten up the mood. breath was felt on my skin. halt on my hips slowly. did you put on this dress? “I don’t know what you are talking about” I feigned innocence. vanish totally as my leg brushed against his hardness. He groaned, pulling me to him roughly. causing me to moan softly. “You want me to kiss you? love, right there in the sitting room. 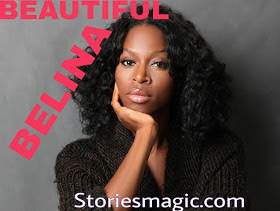 0 Response to "STORY: BEAUTIFUL BELINA (Season 2,Episode 34)"